If your company builds agricultural, power, construction, healthcare, oil, gas or mining machines you’ve probably heard about the Internet of Things. All of us in the tech community are excited to tell you about our cool technology to run on your machine, connect it to the Internet, collect data from it, and then make predictions from that data using advanced machine learning technology. But maybe the question you’re asking as the CEO of one of these companies is why should I care? Isn’t this just stuff my geeky R&D staff cares about? How can it be meaningful to my business? I’ll be making the case that with IoT software; you can not only double the size of your business but also create a barrier that your competition will find difficult to cross. Next generation machines are increasingly powered by software. Porsche’s latest Panamera has 100 million lines of code (a measure of the amount of software) up from only 2 million lines in the previous generation. Tesla owners have come to expect new features delivered through software updates to their vehicles. Healthcare machines are also becoming more software defined. A drug-infusion pump may have more than 200,000 lines of code and an MRI scanner more than 7,000,000 lines. On a construction site a modern boom lift has 40 sensors and 3,000,000 lines of code and on the farm a combine-harvester has over 5,000,000 lines of code. Of course we can debate if this is a good measure of software, but I think you get the point. Software is beginning to define machines. So if machines are becoming more software defined, then maybe the business models that applied to the world of software will also apply to the world of machines. Early in the software product industry we created products and sold them on a CD; if you wanted the next product, you’d have to buy the next CD. As software products became more complex, companies like Oracle moved to a business model where you bought the product (e.g. ERP or database) together with a service contract. That service contract was priced at a derivative of the product purchase price. Over time, this became the largest and most profitable component of many enterprise software product companies. In the year before Oracle bought Sun (whilst they were still a pure software business) they had revenues of approximately $15B, only $3B of which was product revenue, the other $12B, over 80%, was high margin, recurring service revenue. In the world of machines, you might wonder why General Electric is running ads on Saturday Night Live talking about the Industrial Internet. Why are they doing this? All you need to do is download the 2016 10-K (http://www.ge.com/ar2016/assets/pdf/GE_2016_Form_10K.pdf) and look on page 36. Out of $113B in revenue they recognized $52B, or nearly 50%, as service revenue. Imagine if GE could move to 80% service revenue, not only would the company be tens of billions of dollars larger, but also margins for the overall business could easily double. And let me remind you this is all done without connecting the product (software or machine). Once connecte you can provide even more service and ultimately deliver your product as a service. As we have already seen in high tech software and hardware moving to product-as-a-service is transformative. So if you’re an executive at a power, transportation, construction, agriculture, oil & gas, life science, or healthcare machine company, how big is your service business? Timothy Chou has lectured at Stanford University for over twenty-five years and is the Alchemist Accelerator IoT Chair. Not only does he have academic credentials, but also he's served as President of Oracle's cloud business and today is a board member at both Blackbaud and Teradata. He began his career at one of the first Kleiner Perkins startups, Tandem Computers, and today is working with several Silicon Valley startups in roles from investor to executive chairman. Timothy has published a few landmark books including, The End of Software, and Precision: Principals, Practices and Solutions for the Internet of Things, which was recently named one of the top ten books for CIOs. He's lectured at over twenty universities and delivered keynotes on all six continents. “The only constant is change.” It’s an adage that goes back 2500 years to the Greek philosopher Heraclitus. But never has it been as true as it is today. Technology adoption is growing exponentially, driving change at a dizzying pace. Billions of devices are connecting to networks — most of them the sensors, controllers, and machines that power the Internet of Things (IoT). You probably see the rapid growth of connected devices in your own organization: on the manufacturing floor, in your logistics system, hospital or retail store. But are you seeing the corresponding business impact generated by connected processes and business models enabled by IoT? Over the last 25 years, organizations have had to reinvent themselves every three to seven years to keep up with the pace of change. Companies that missed one technology transition might scramble to catch up, but missing two meant a slow fade to obscurity, irrelevance, and death. Just think about the rapid evolution from records, to cassettes, to CDs — with each transition creating new winners and losers. Today, the evolution has come full circle as digital streaming services have made any kind of physical media obsolete. That kind of relentless change threatens the survival of many businesses. According to The Boston Consulting Group, only 19 percent of S&P 500 companies from 50 years ago are still in existence today. How can you ensure the survival of your business? A new generation of leaders, makers, thinkers, and doers is meeting that change with flexibility and optimism, and transforming it into opportunity. In my upcoming book, Building the Internet of Things, I call these pioneers “Generation IoT.” These are the people who see the transformational power of IoT-driven processes, business models and new revenue streams. They are eager to champion and drive these opportunities in their organizations. These people know that IoT is not just one project, one training session, one change. They know that in order to succeed they and their organizations need to adjust and re-learn, over and over again. Generation IoT is first defined by openness — open standards, open collaboration, open communications, and open, flexible business models. Members of Generation IoT can be found in IT or operational technology (OT). They can run the plant, or be part of the supply chain. They can be vendors, contractors, or CXOs. They can be young or old. All are willing to learn and take risks, and are good at building virtual teams internally and partnering externally. You can recognize these new winners not by their age or their titles — but by their ability to build and deploy agile, flexible business solutions. Here’s an example: a decade ago, visionaries talked about mass customization — building mass-produced products to each individual buyer’s specifications. But it was difficult to implement efficiently and proved to be an idea ahead of its time. Today, IoT makes this concept much more practical and cost-effective because information can be shared in real time between every element in the supply chain. Buyers can click on the components they want. Suppliers and logistics providers can see what is being ordered and adjust their scheduling accordingly. Production systems can be retooled as needed. With the information flowing up and down the supply chain, all the necessary materials are at the production line when that customer’s order is being assembled, whether it’s a car or a three-piece suit. With IoT, mass customization is not just a future possibility — it’s starting to happen. Daihatsu Motor Company is already using 3D printers to offer car buyers 10 colors and 15 base patterns to create their own “effect skins” for car exteriors. Each car rolls off the line customized for that individual buyer. The key question — and it’s the focus of both my book and this blog series — is how it’s all supposed to happen. Yes, vision is important. Pointing your organization toward where and how it needs to transform itself is key. But the road to realizing such vision is a multi-year, multi-phased journey and it starts with you successfully tackling one of today’s business problems. A low-risk, small project based on a well-established use-case is all that is needed to get going. Armed with the initial success, you can then pick a more complex problem and an IoT solution that will also have a bigger impact. 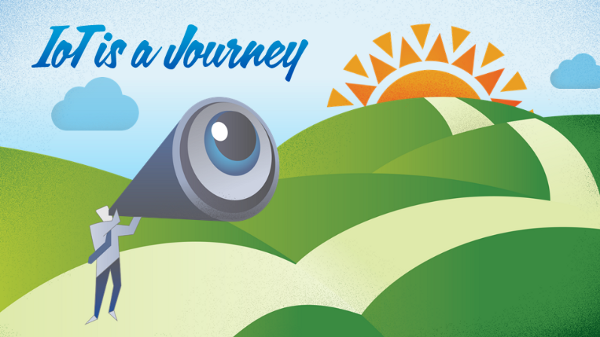 IoT is a journey. • Have a big vision, but start with a small project using one of the four fast payback scenarios I outline in my book: connected operations, remote operations, predictive analytics, and predictive maintenance. • Build you own business case by comparing industry benchmarks with your own total cost of ownership data. • Get a C-suite sponsor, because you are not implementing one IoT project, you are starting on the journey that will transform your organization, your industry, and your career. • Build a cross-functional team; you need complementary skills, so maximize the chances of success by building support and buy-in across your entire organization. Finally, recognize that we’re all relatively new at this. None of us have spent our careers on IoT — not yet. You can be an extremely valuable member of this transformation with the skills you have today. 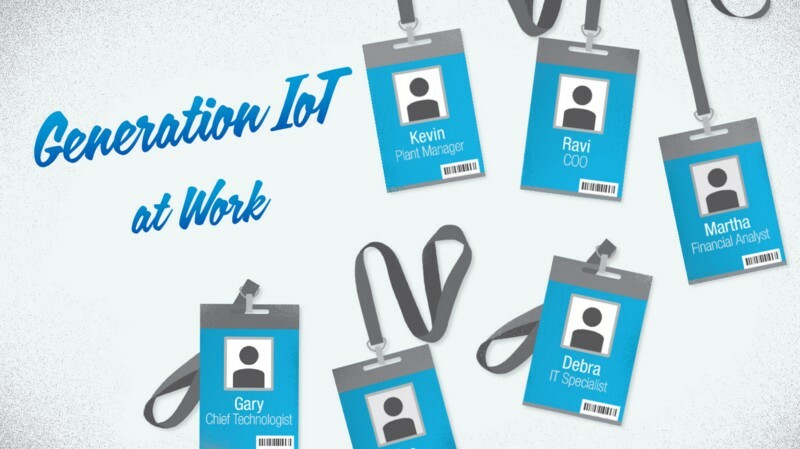 Whether you’re in Generation X, Y, or Z, you can be part of Generation IoT. Stay tuned for my next blog, where I’ll take a closer look at the four fast-payback paths to IoT. In 2004 I published my first book, The End of Software. At the time I was the President of Oracle On Demand, so many people found it a curious title. In the book I discussed the fundamental economic reasons software should be delivered as a service. As an example of new startups in the field I highlighted four companies: VMWare, salesforce.com, Netsuite and OpenHarbor, which were all pre-IPO companies at the time. While I didn’t get all four correct, three of the four have gone on to be major companies driving the second generation of enterprise software. When I left Oracle, I started to wonder what was next for enterprise software. We’ve built CRM, ERP, HR, supply chain and purchasing software for on premises deployment and now all are being delivered as a cloud service. While delivery as a cloud service provides both lower cost and higher quality, the functionality has remained largely the same. So, are we at the end of innovation for enterprise software? In 2010 I started a cloud computing class at Tsinghua University in Beijing. The Amazon team was kind enough to give me $3000 worth of AWS time for the students to use. I showed up in class and told them it would buy a small server in Northern California, Virginia or Ireland for 3 ½ years. They looked bored; after all, they could also get a server in China for 3 ½ years. Or, I said, $3000 will buy you 10,000 servers for 30 minutes. So, what could you do with 10,000 servers for 30 minutes? Like you, I’ve heard the buzzword IoT for quite a few years. I mostly ignored it because I wasn’t sure why my toaster should talk to my coffee maker. But a few years ago I invited Bill Ruh, CEO of GE Digital, to deliver a guest lecture at my Stanford class and his talk raised my curiosity; so a year ago I decided I needed to learn what was going on in industrial IoT, or some would call enterprise IoT. With the help of a crowd of at least a hundred experts, I documented nearly twenty different case studies spanning all of the major industries: power, water, oil & gas, agriculture, healthcare, construction and transportation. Mid way through building all of these cases the answer to my two questions became obvious. While second generation enterprise software has helped reduce the cost and improve the efficiency of some enterprises it has done little to transform our physical world. With the decreasing costs of sensors, compute and storage we now have the ability to create a more precise planet. And unless we all move to Mars, we’re going to need to produce energy, water, healthcare and food more efficiently, more precisely. And if you consider that all developing economies require fundamental infrastructure, shouldn't we engineer next generation healthcare, power, and agriculture using powerful new IoT software? In the developing economies we skipped land line telephony, will it not be possible to skip ahead in these other critical infrastructure areas? A few weeks ago we launched my new book: Precision: Principals, Practices and Solutions for the Internet of Things in London on the River Thames. The book is written for anyone who wants to be a student of the subject, whether you're a focused on technology or business. The first part of the book divides the technology principals into five major areas. We discuss the things or machines themselves, how they are connected, what is done to collect information, how you can learn from things and finally what can be done with what we’ve learned. While many are implementing IoT solutions using current technology, it should be recognized most of the technology to date has been built for Internet of People (IoP) applications. But things are not people. For instance, there are many more things than people, things can be where people aren’t they have more to say, things talk much more frequently and things can be programmed, people can’t. 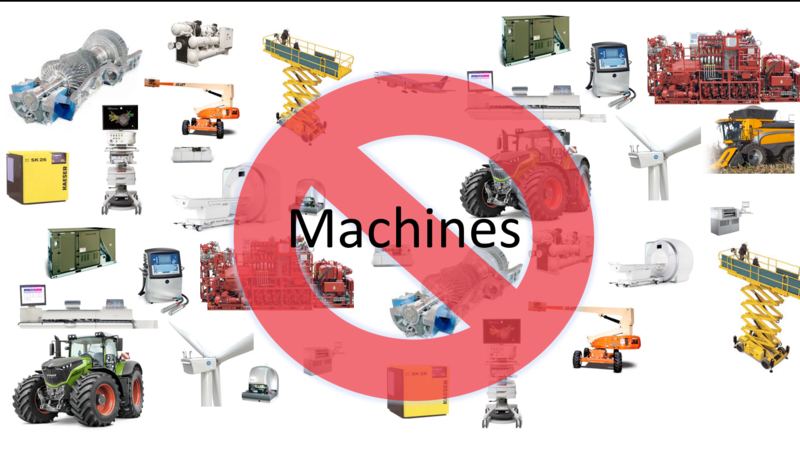 While there are numerous technology challenges and opportunities within successfully implementing industrial IoT solutions, this distinction has great relevance to those enterprises that build machines (e.g., gene sequencers, combine harvesters, wind turbines) and finally on those that use these machines (e.g. hospitals, farms and utilities). The second part of the book contains fourteen case studies that span the major industries of power, water, healthcare, transportation, oil & gas, construction and agriculture. You'll meet Nick August, who is a farmer on the Cotswalds, learn about how an autonomous train will run from the north of Australia to Perth this year and how you can use machine learning to predict electric grid failure. Some companies have already begun to make the investments in industrial IoT. GE Software, for instance, was founded in 2011 with a $1B investment. CEO Jeff Immelt has declared that GE needed to evolve into a software-and-analytics company lest its machines become commodities. Immelt has set an ambitious target of $15B in software revenue by 2020. PTC has taken an M&A path and invested over $500M in a series of companies, including ThingWorx, ColdLight and Axeda. On the venture side, you may not have noticed but Uptake, a Chicago-based IoT startup, beat Slack and Uber to become Forbes 2015's Hottest Startup. They raised $45M at a $1B post funding valuation. I’ll let you be the judge of whether it’s time to invest in IoT. But whether you’re a student at Berkeley, someone who works for an enterprise tech company, a venture capitalist, a CEO of a textile machine company, or the Chief Innovation Officer of a hospital, I’d encourage you to make Precision: Principals, Practices and Solutions for the Internet of Things part of your summer reading list and start exploring how you’ll be part of creating a more precision planet. As an example of new startups in the field, I discussed four companies, VMware, Salesforce,NetSuite and OpenHarbor. None of them were public companies when the book was published. Salesforce was still under $86 million in revenue. While I didn’t get all four correct, three of the four have gone on to be major companies driving the second generation of enterprise software. PTC has taken an M&A path and invested more than $400 million in a series of companies: ThingWorx for $112 million, a $105 million acquisition of ColdLight andAxeda for $170 million. On the venture side you may not have noticed, but Uptake, a Chicago-based IoT startup, beat Slack and Uber to become Forbes 2015’s Hottest Startup. They raised $45 million at a $1 billion post-funding valuation. 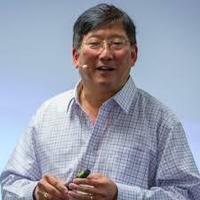 - Tim Chou is the former president of Oracle On Demand, a computer science lecturer at Stanford and chair of the IoT Track of the Alchemist Accelerator. His book, Precision: Principles, Practices and Solution for the Internet of Things, will be released in May.